I do not know if the overlap of memes between what is being pushed as progressive federalism, Rockefeller-funded Deliberative Democracy, and at the Heritage Foundation-sponsored EPC is deliberate or innocent although at some level I am darn sure I am NOT the only one aware there is an overlap. Not wanting good people hearing these themes and still feeling protected by the Constitution to be blind-sided and then sucker punched, I have taken a few days to mull over my concerns and do a bit more research. The post title should give the first clue on where I came out. First, the book on the aims of progressive federalism The Constitution in 2020 arrived laying out a “framework for developing a political community committed to justice.” The UN and the Club of Rome are not the only institutions now formally advancing a vision for using ‘the rule of law’ as a means “to imagine our collective future.” Emphasis there on the collective. 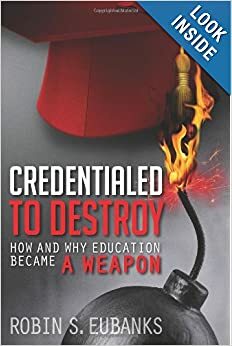 In fact, when I saw the reference to “our successes will come from new mobilizations that emphasize a new constitutional vision that better articulates enduring constitutional values,” the reimagining of K-12 education’s purposes, practices, and policies via the Common Core immediately came to mind. Noddings’ curriculum themes to develop caring and pedagogy of the oppressed and of the oppressors bears a striking resemblance to what we are now seeing pushed in AP and IB English and history classes and throughout the disciplines down into elementary school. In fact, the very phrase of the “New 3 Rs” of Rigor, Relevance, and Relationships bowls down at its core to making sure students now perceive the world and its social problems in terms of responsibility to care and act and otherwise fulfill Noddings desire to make education “primarily concerned with what kind of relations we should establish.” That’s not making me feel better about what is intended by think tanks and scholars from what is commonly nicknamed, the Left and the Right, by 2020. Alarming overlap of themes between the Left and Right rhetoric about the Constitution and between K-12 education and the use of the law. Good things to be aware of though to avoid being sucker punched in the future. Especially as redemptive constitutionalism wants to take interpretive power away from the courts and give it to “the People” and ordinary citizens for majorities to decide. All the more reasons then to use education to change what is widely believed and valued. That law review paper called for its aims to be achieved in the future via a constitutional convention called by the states that “ought to focus on majoritarian, popular forms of amendment” which sounds remarkably like what many state ‘conservative’ think-tanks are asking for as the ConCon. Honestly, is there any confusion on why progressive federalism is hiding under a variety of labels but involves an alliance between Big Business, the Chambers of Commerce, and the admitted hard Left that wants economic justice as a Constitutional obligation? The third leg of the Sector Strategies/Career Pathways/Employer Partnership vision for the economy that is typically omitted until we start reading the powerpoints from their conferences is a “New Social Compact with Young People.” That’s why several of the witnesses from yesterday’s ESEA Rewrite came from federally-funded Promise Neighborhoods. That’s why this “Community-Based Learning through Community Partnerships” blueprint was recently released. http://www.communityschools.org/assets/1/AssetManager/MBLT%20Boston.pdf It’s why KnowledgeWorks Strive Together model of Cradle to Career is being cited as the exemplar of such a social compact with young people. http://www.brookings.edu/research/reports2/2015/02/03-advanced-industries#/M10420 released yesterday is yet another example of this envisioned taxpayer-funded vision of an economy built around government direction, blurring of public and private, and providing ‘jobs’ for the least privileged members of American society. It does not appear to be sustainable at all to me once the taxpayer funded spigot runs dry. The difference though between just pointing out the connections among all these things and how they benefit the public sector at all levels, connected Big Business, and community organizers intent on managing the redistribution of existing wealth to their patrons (obvious and mostly invisible) is I have quite a library I use for appreciating the likely consequences of all these plans and mandates. From progressive federalism, Sector Strategies, seeing Equity as a Civil Right, the mind arson I have documented as planned for K-12 education, we are looking at a vision of an all-powerful State where the individual is to be nothing but a member of the collective, the subject under political power, and a workforce participant. All these plans for the US Constitution and changing the purpose of the “rule of law” are designed to ensure that this hoped for power “is not illegal but grows naturally out of the system and is organized and made legitimate by the State.” That’s what Reiman saw in Italy and Germany and wrote about without knowing the rest of the story. We do now so there’s less ability to be blind-sided with a sucker punch than there was a week ago. Does anyone though wonder anymore why WIOA insisted that one of the required skills that all students must have to be “workforce ready” was “systems thinking”? Just because a great deal of political and economic power is now focused on using the law and education to design and create such systems, starting at the level of the student’s mind and personality, doesn’t mean any of us are obligated to sit still and wait for that sucker punch. Back from my jaunt this week to Orange County, California to talk about all the things coming into K-12 classrooms under the cloaking banner of the Common Core. Since I was taking notes on Monday night and the pro-CC side zealously conceded a great deal in their prepared presentations, I thought we would talk about what was admitted upfront and what the implications are for all of us. It is safe to say that California is further along than many states so this will fit with what is or will soon be going on everywhere. If authoritarian seems awfully strong, it is partly a reaction to the number of speakers who insisted that the Common Core was now “the law” and there was thus no reason for further discussion. Now no one actually uttered the phrase “resistance is futile” or “submission is mandatory,” but that was the drift of the arguments. Gone is any concept that the United States is a country conceived on a premise that the individual is ultimately so sacrosanct that even a king needs to ask permission to cross his threshold. No, if a school board, legislature, or city or regional council adopts a law or enacts a regulation, apparently obedience is now mandatory without further discussion. That crucial shift is one reason the authoritarian description seems apt. The other is the number of times I heard speakers, especially one who was a former California 4th District PTA President and a current Huntington Beach school board member utter phrases in support of the Common Core like “its purpose is to create habits of mind” and dictate “concepts to be absorbed” by the student. Another speaker spoke of “internalizing” knowledge. All of those references, whether the speakers know this or not, are to what Soviet psychologist Piotr Galperin called theoretical instruction to guide future behavior. We covered it here http://www.invisibleserfscollar.com/transcending-the-individual-mind-as-the-analytical-unit-of-learning-while-still-guiding-how-we-will-act/ . My dictionary defines authoritarian as “unquestioning obedience to authority rather than individual freedom of judgment and action.” Now let’s face it, if concepts have been implanted in student’s psyche at an unconscious level, which all these speakers are admitting and I have been warning about, there’s not even any opportunity to question. Is there anybody out there that denies our definition is being more than met with these openly declared intentions? One of the Board members read two passages from my book. One is that we are looking at the “Marxist theory of education.” I suppose he was trying to paint me as some kind of 21st Century McCarthy threatening to name names. As the book lays out in detail, Uncle Karl wanted education to be all about controlling consciousness. Let’s face it, the pro-CC speakers themselves admitted that aim several times. If educational theorists and professors use the M word among themselves for what they advocate, we get to use the term as well. That’s me–factual, not raving. The 2nd quote had to do with the assertion in the book that Common Core actually wants to limit knowledge. I explained quickly about how a concept-based education worked, but I have a better example to actually quote now that I am home with access to all my materials. The pro-side did not care for my pointing out that when they stated that CC were “learning standards” they were saying it was about “social and emotional changes in the student” and “goals” for changing a student’s values, attitudes, beliefs, or behaviors. That came out on rebuttal even though our former PTA President and Board member had cited “engaging experiences” as one of her reasons to support the CC transformation of the classroom. What precisely does she believe the “experiences” are getting at? Plus, I now have access to the standard definition of ‘rigor’ which is “the goal of helping all students develop the capacity to understand content that is complex, ambiguous, provocative, and personally or emotionally challenging.” I took that from an SREB powerpoint, but plenty of school districts use that quoted definition verbatim too. That’s the vision for Manchester in the UK and the greater LA area, my neck of the woods in Georgia, and everywhere else as well. Everything I have read suggests a Folly of monumental proportions is planned, but it will be quite lucrative for a while to those connected vendors who form public-private partnerships to receive taxpayer money for meeting ‘needs’ like housing, education, or healthcare. I want to close this discussion with a Keynote Address noted Change Agent Shirley McCune gave back in 1981 called “The Future of Educational Equity.” She saw “struggles for equity” as the “whole rationale for the formation of the United States” which tells us what can happen when we let graduate degrees in social work dictate how we educate our kids. What I found fascinating since I had always seen the Reagan Block Grants to state and local governments as a ‘conservative’ shift was how A-OK she was with this plan. So someone who wanted to see comparable economic and social outcomes among groups and “groups of people represented throughout society in proportion to their representation in the population” viewed state and local governments as the place to achieve that. Something to think about as commentators assume that the Common Core is an acceptable dictate if a local school board requires it. That the only problem with the Common Core is the federal fingerprints all over it from Arne Duncan’s actions. Really? Authoritarianism that goes so far as to dictate personality traits at an unconscious level to drive future behavior is not a problem now as long as it is not federal authorities mandating it? McCune believed that the “only way that persons would be willing to ‘buy equity concerns’ is if it is demonstrated that it is an innate part of quality education.” That of course is precisely what embedding Racial Equity Outcomes in coursework or those Anti-Bias Framework do. It’s McCune and others view of how to use a misleading term like quality education for “building a new consensus on equity.” She also viewed quality education for equity as about equipping students with the “highest level basic verbal and mathematical skills consistent with their individual ability.” The only way to read that language is that slower students will get a variety of ways to show their skills, but able students still cannot go beyond basic. They can just go faster through the basics. Finally McCune’s version of quality education “would equip students with the flexibility and self-confidence that would enable them to cope with the rapidly changing society through continuing adult learning and growth.” Doesn’t that sound just like what the Common Core is touting as having a Growth Mindset? Everything old is new again apparently until total transformation is finally achieved. Apparently the products of a “quality education” grounded in ‘rigor’ will not object to the fundamental rewrite of our “federalist contract” and in the mean time, governments at all levels seem to be pursuing this Equity vision without any genuine disclosure or consent. Leaving it to the lady who reads too much and has for a very long time to lay it all out. Hopefully Just In Time as the slogan goes.